I can’t thank Jamie and Color Splash enough. First of all, we are both located in NYC, so we knew that planning a “destination wedding” because the groom’s family is from Holland would present it’s challenges. Color Splash was nothing short of spectacular when it came to responsiveness and was always there to answer our questions openly and honestly. Our day’s weather was less than spectacular but they rolled with it, found amazing shots and made me as the bride feel comfortable with all of the decisions. From day one before booking, I felt completely at home with Color Splash. From the first email, I knew that this was our photographer. Caring, enthusiastic, professional, vibrant, patient and most of all talented. I’d recommend Jamie and her company to anyone looking for quality, talent and a beautiful experience. Thank you again! Jamie, Cindy and Ric were awesome! 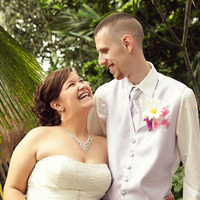 They did everything and more for my husband and I on our wedding day. Our pictures turned out beautifully and the photobooth was a hit with all of our guests. Jamie and Cindy captured all the right moments of us getting ready, the ceremony, our family/bridal party, and the reception. We are truly very happy with all of our photos. I think getting our photos was a close second to the actual wedding. The quality of service we got was above and beyond anything we could have hoped for. We got them quickly (two weeks) and they look(ed) beautiful. 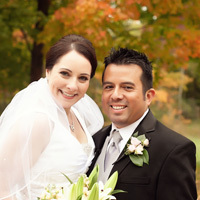 We totally recommend Color Splash Studio to anybody we know! Thank you so much, Color Splash Studio! We spent a lot of time trying to find the best photographer for our wedding – we didn’t want the classic wedding photos that you see – we wanted something that was fun and unique. Jamie was the perfect photographer for our day! 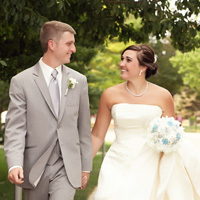 She was so helpful prior to the wedding – always promptly answering any crazy questions I had – she was AMAZING on the day of! After the wedding we received the edited photos so quickly and they discs were mailed in the cutest packaging! We have received many, many compliments! Jamie/Color Splash Studio was beyond amazing to work with!! I knew, hands down, at the very start of my wedding planning that I just HAD to have her!! My photos are beyond anything I could ever have imagined and am so proud to show them to anyone and everyone for the rest of my life!! As I kept going through my photos, I kept saying WOW, I didn’t even know she was there to capture that! It is true, a real photographer doesn’t need to “snap” for hours, they just need to have a good eye and know when is the right moment to capture quality shots!! 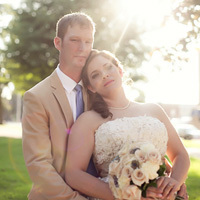 Jamie was prompt, so VERY flexable as my wedding date changed about three times, and an absolute pleasure to work with!